Let’s sailabrate a GIVEAWAY ⛵️ Did you know the Dutch word ‘Scheepjes’ means ‘little ships’ in English? 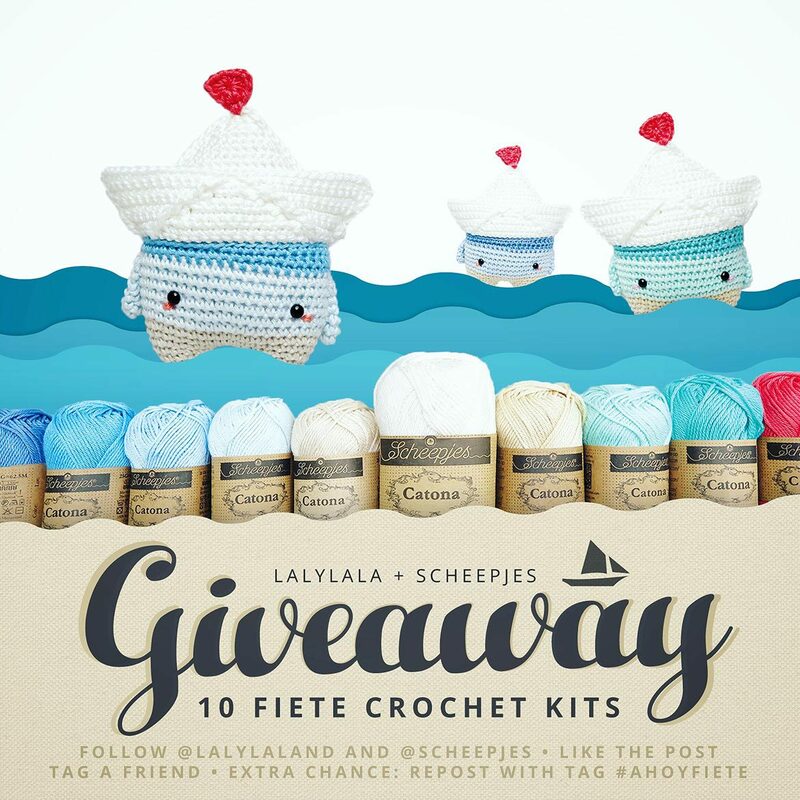 Reason enough to team up with the fantastic Scheepjes Yarn to give you lovely origamirumi lovers the chance to win 1 out of 10 CROCHET KITS for PAPER BOAT FIETE – coming with all the materials and crochet pattern you need to make your own Fiete in all 3 color versions! All you have to do to enter the giveaway is to set sail and head over to my Instagram! Friday! 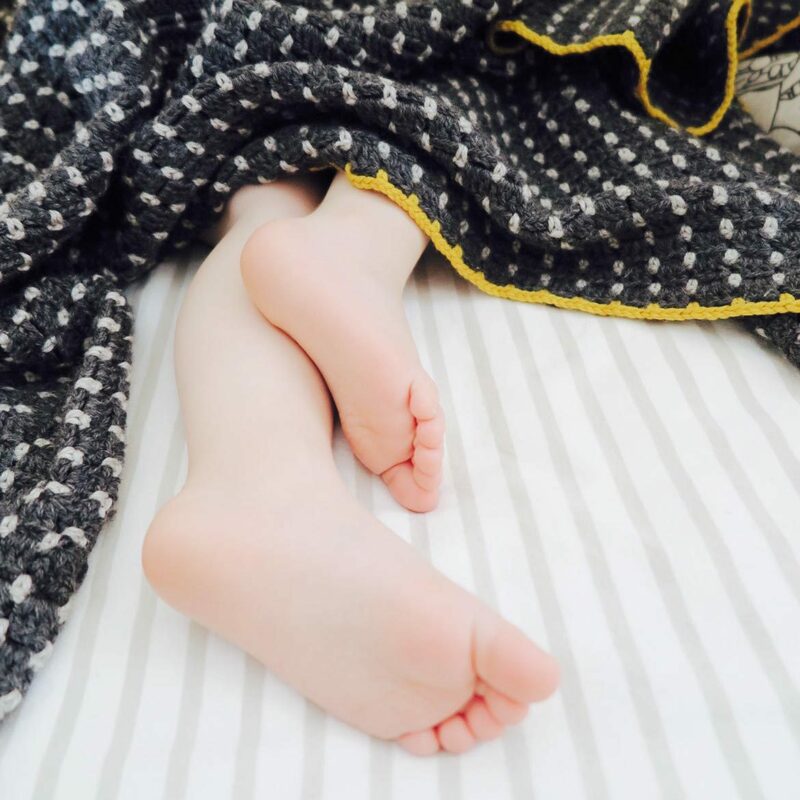 We stay in bed and count down until weekend starts with the FREE PATTERN for this cozy ‘Rice Seed Blanket’! 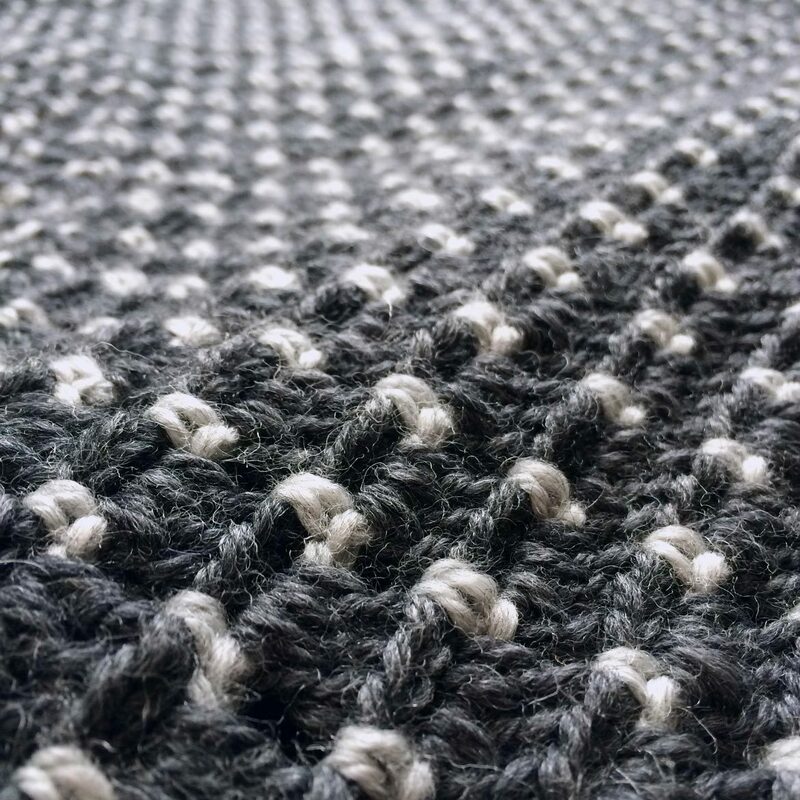 You don’t have to decide how large your blanket should be in the end – just crochet ahead and stop whenever you feel it’s big enough. 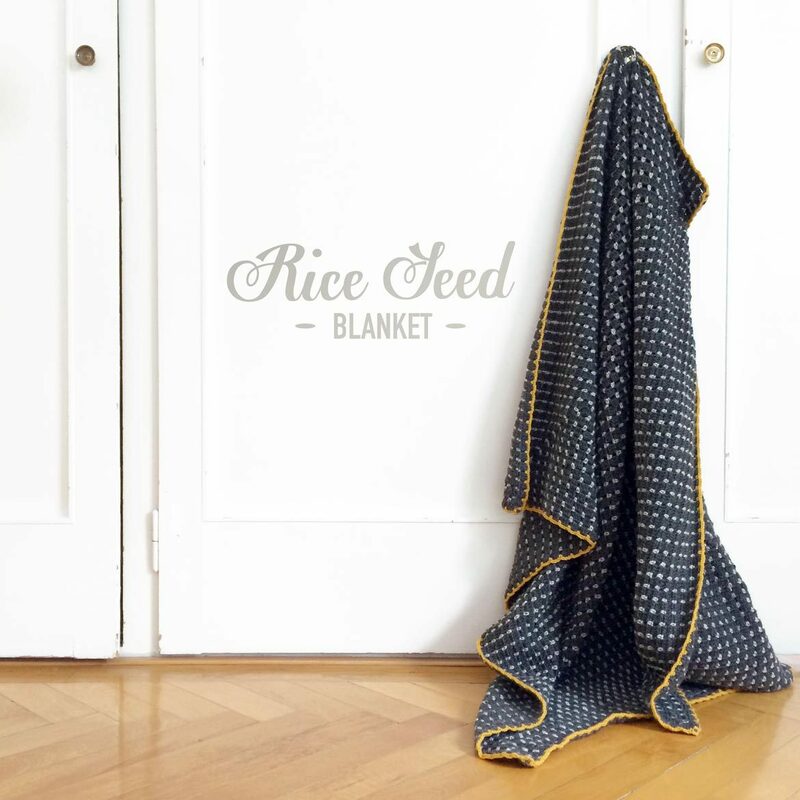 The ‘Rice Seed Blanket’ is worked in a round by round like a giant granny square. This gives you the possibility to enlarge it any size. 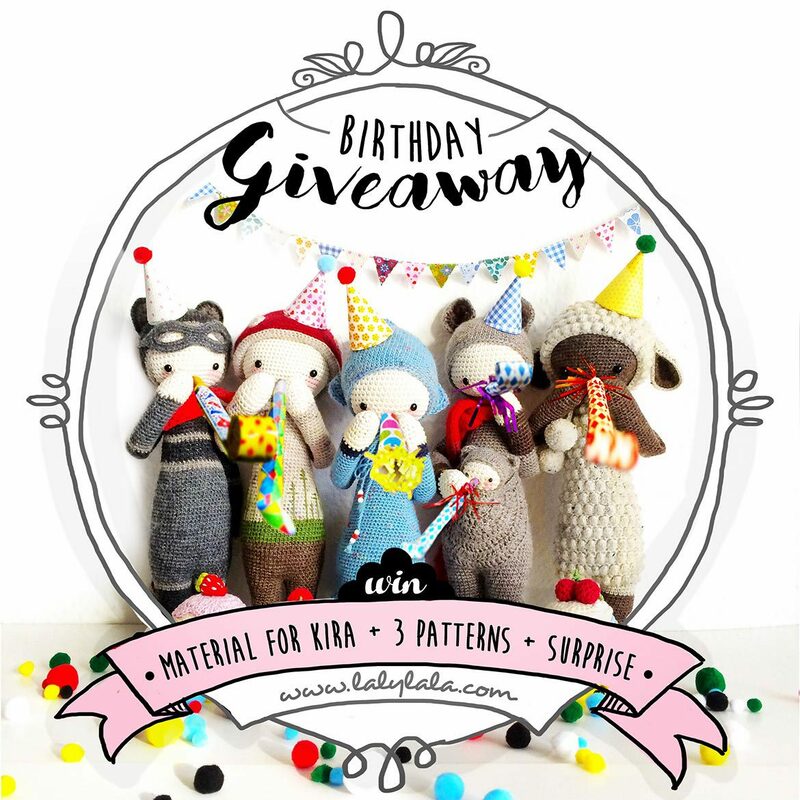 HIGH FIVE to the lalylala birthday GIVEAWAY! To celebrate lalylala’s 5th birthday and to THANK YOU for all your great support, your countless heartwarming messages and for loving the lalylalas, I packed together 5 amazing gift boxes for 5 lucky winners! 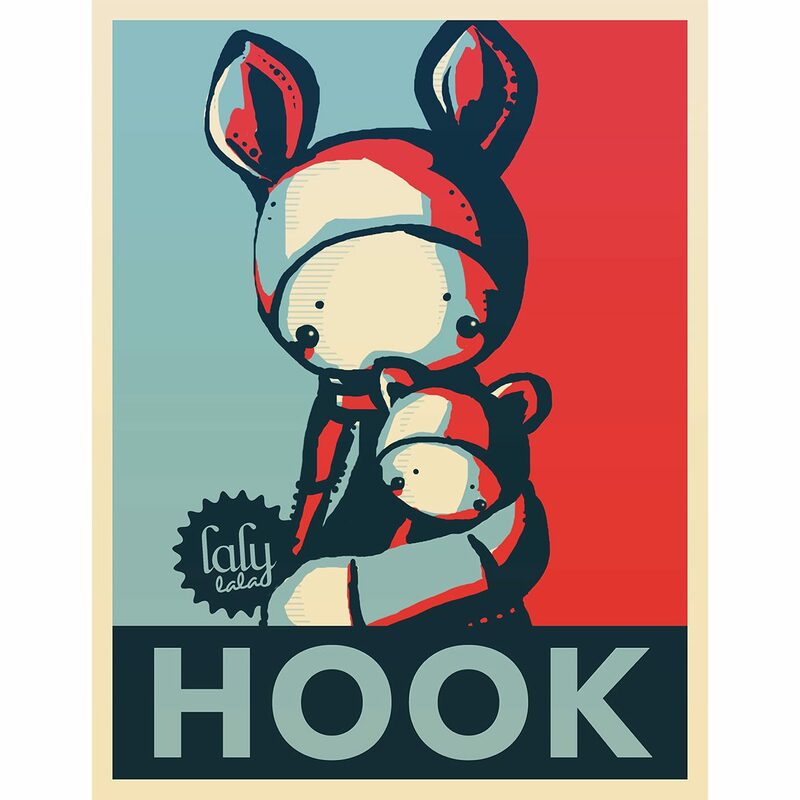 Become a friend of lalylala’s Facebook page or Instagram and LIKE the giveaway picture there. Comment as much as you like, but make sure to hashtag only one of your comments! Multiple tagged comments of one person will be removed! Gain an extra chance by joining the giveaway on both, Instagram and Facebook. Next Monday (October 10th, 2016) every hash-tagged comment gets a consecutive number. I will pick 5 random numbers by chance and announce the 5 lucky winners! The gift boxes will be shipped worldwide – so don’t hesitate to enter even if you live on the north pole! 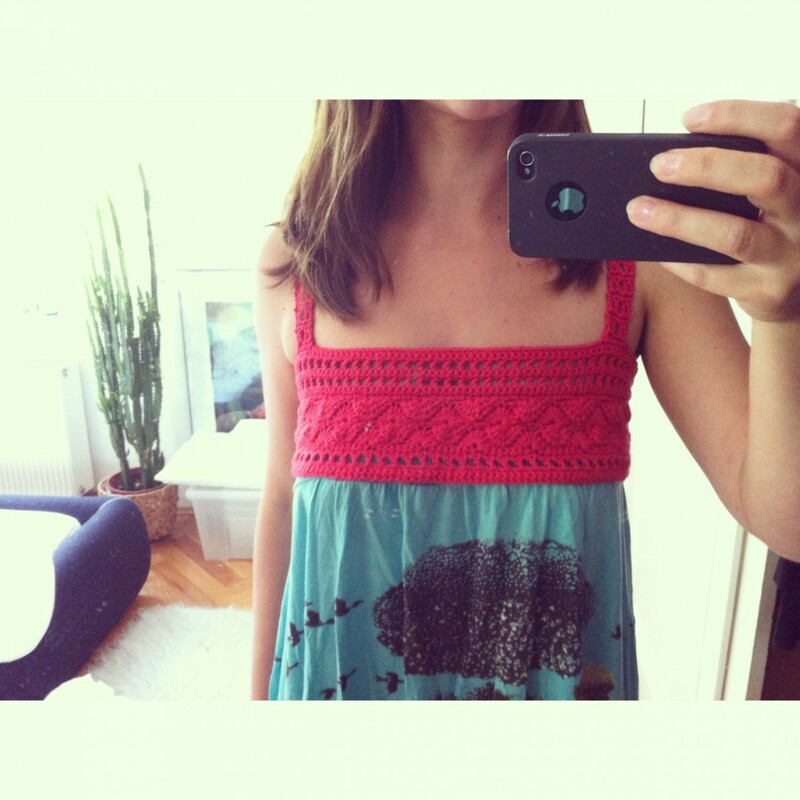 The crochet patterns will be send to you as digital files by email. 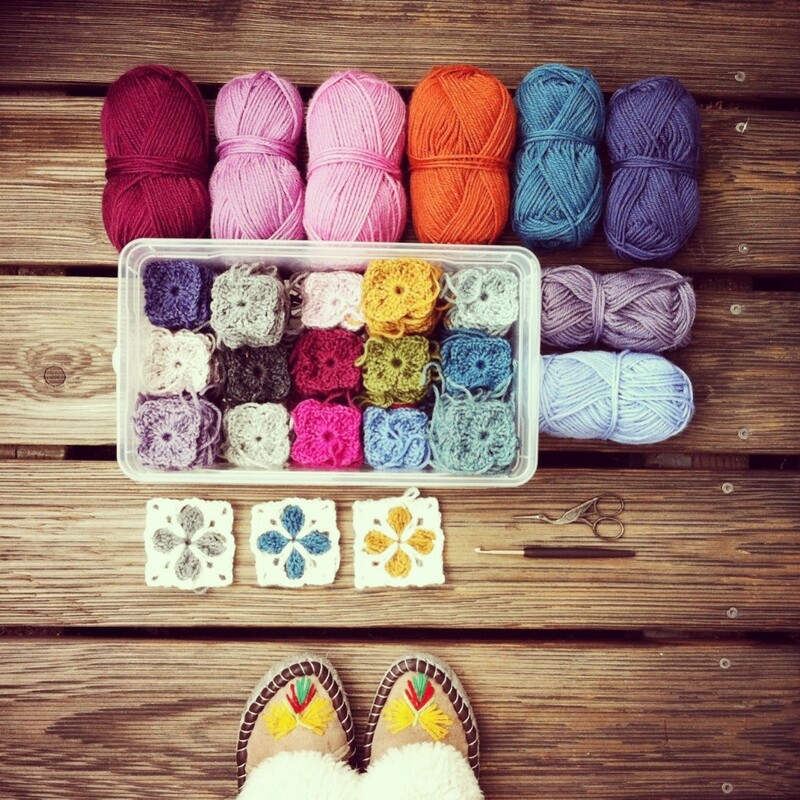 High five, good luck, happy crocheting and thank you all for your love! 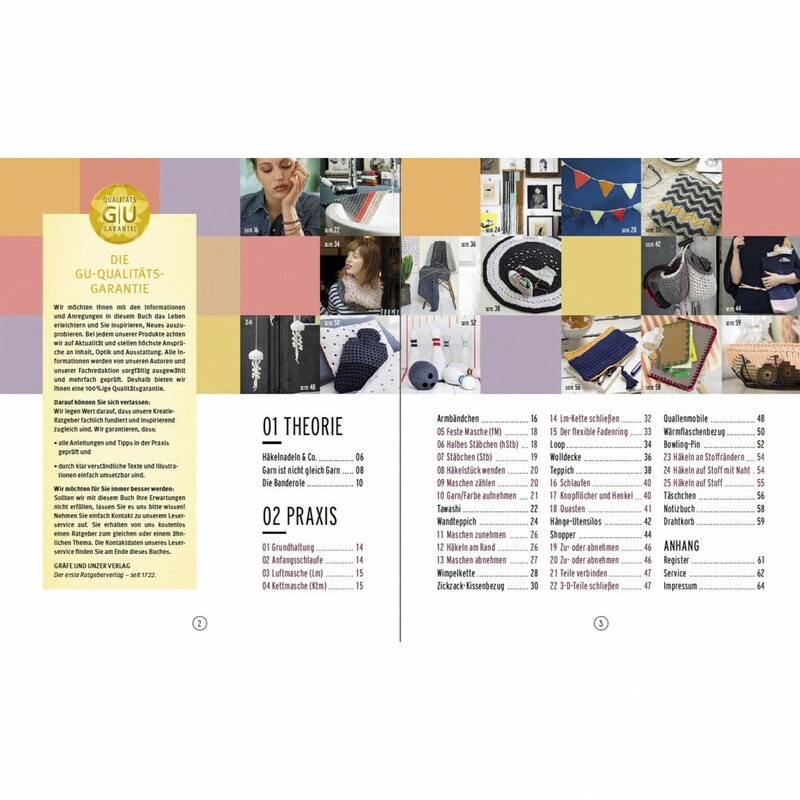 No, Kira doesn’t run for the US presidential elections this time, but for the second most important election of the year: the ETSY AWARDS 2016 Germany/Austria for the category “Kids & Baby“. Kira’s election program includes more time for snuggle breaks and the abolishment of phases of frogging. 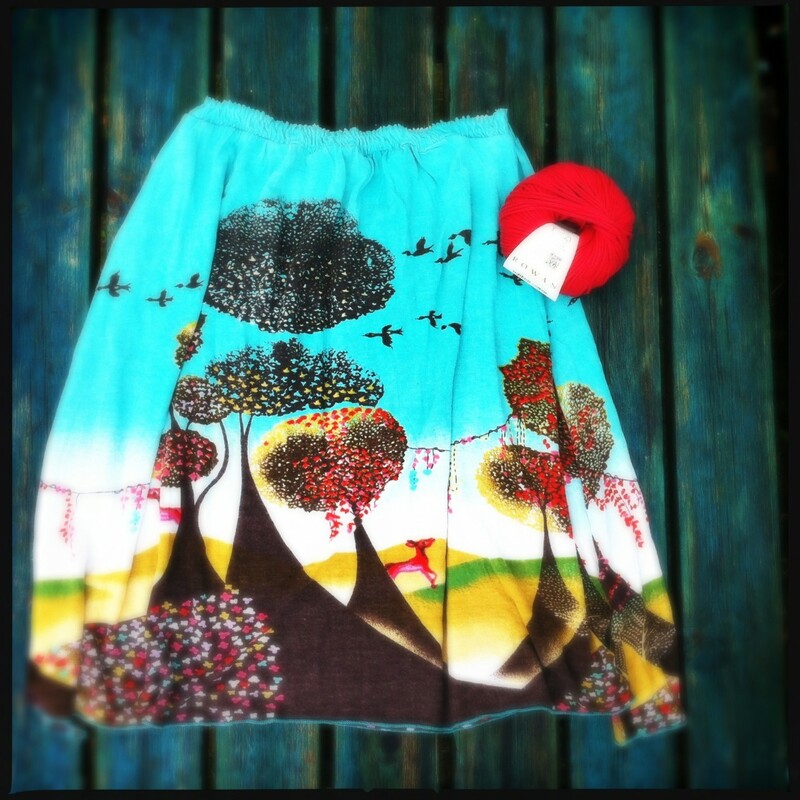 Kira also promises the expansion of renewable energies by handcrafts and guarantees an enormous increase of your crochet fun! 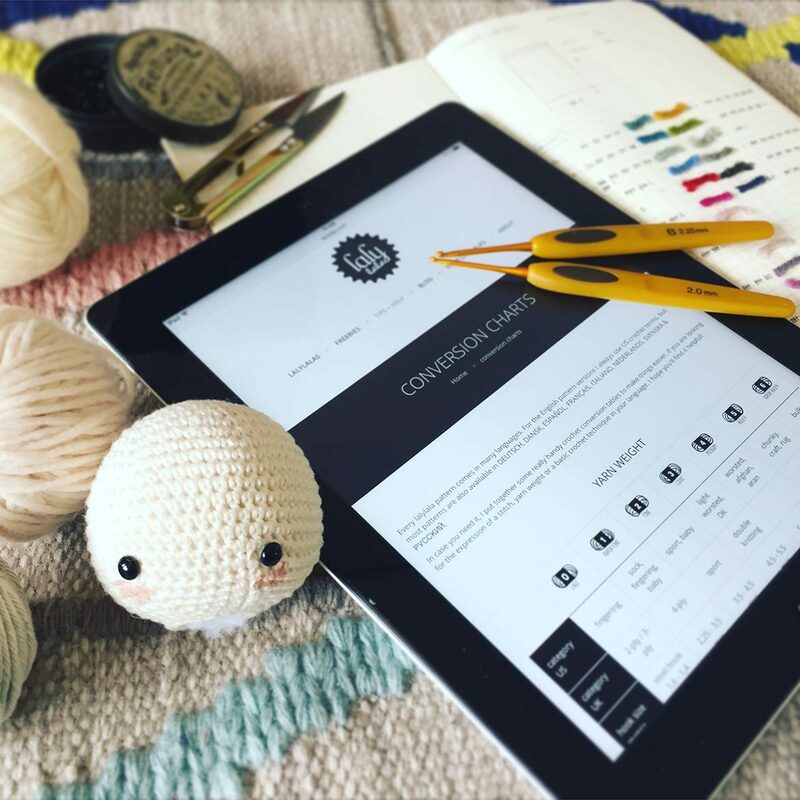 If you’ve ever been searching for an epic CONVERSION TABLE of CROCHET TERMS and STITCHES in multiple languages – such as English, German, French, Spanish, Dutch, Danish, Italian, Russian an Swedish – you should have a look to the new tips+help section. I hope you’ll find it helpful! 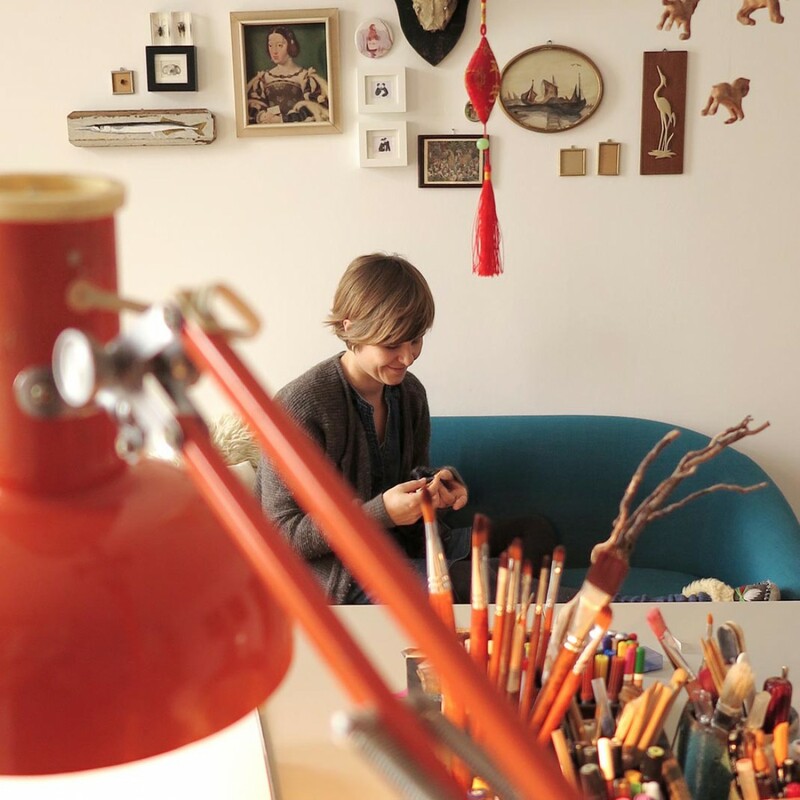 Every month Etsy presents one shop and introduces the people behind it. 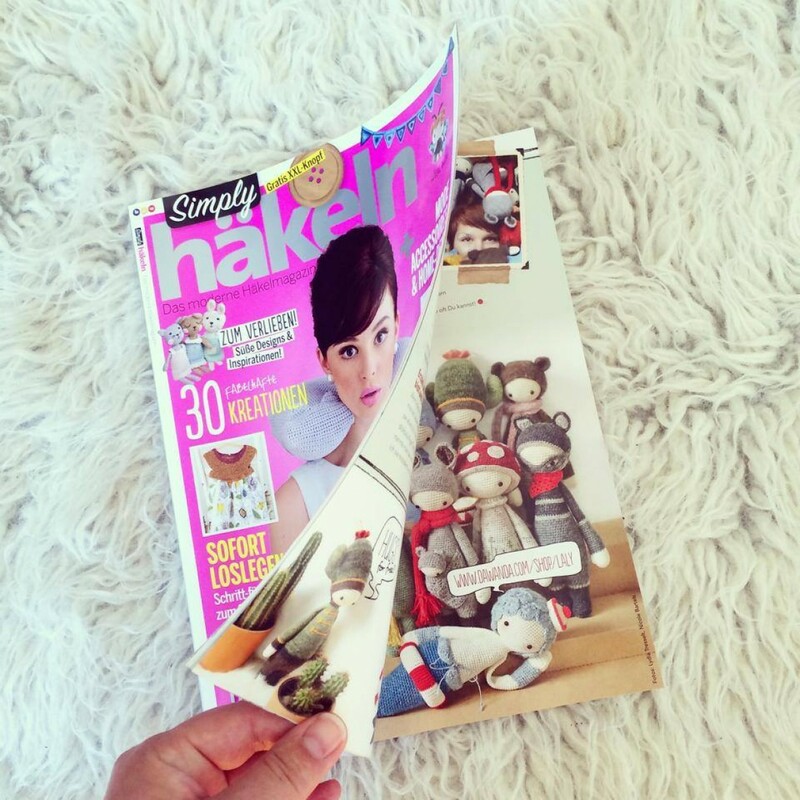 In January it was …. 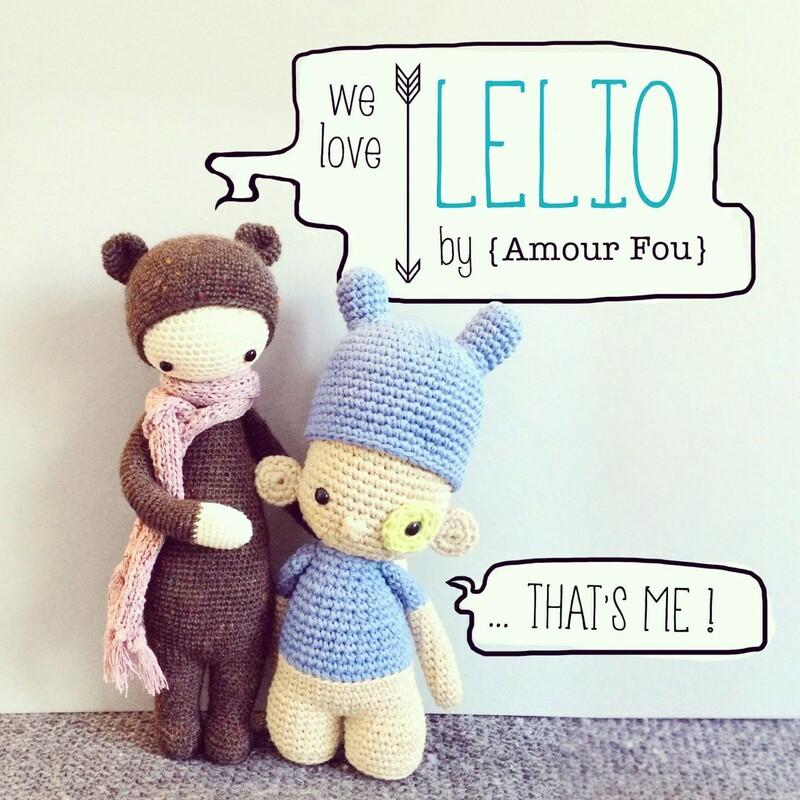 drumrolls … MY lalylala shop that was featured on Etsy’s German blog! Aaaaah! I am so thrilled! Many thanks to Lena from Etsy team Berlin for offering me a great opportunity to give you an exclusive look behind the scenes! 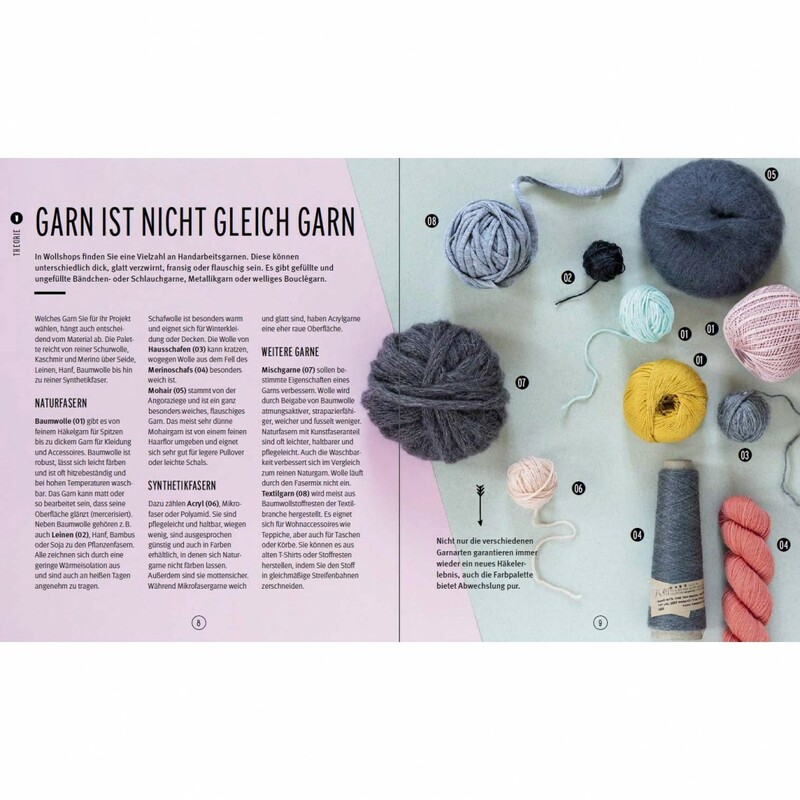 So if you ever ask yourself how my studio could look like or how I became a crochet designer, read the entire feature on Etsy’s fabulous German blog. 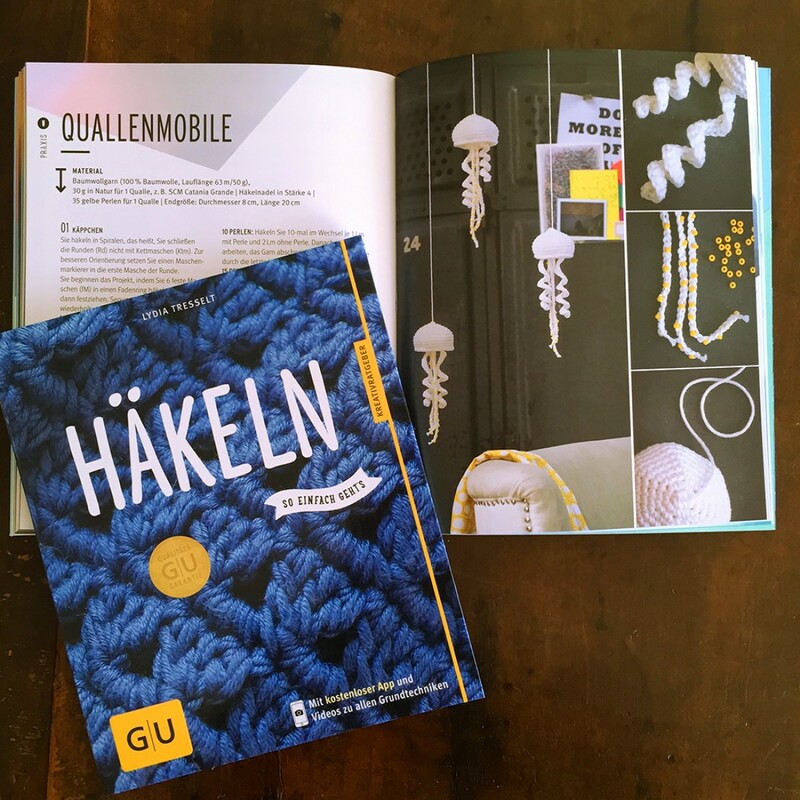 I guess some of you already noticed, that I wrote a little crochet book for beginners and returners: “Häkeln – so einfach geht’s” published by Gräfe & Unzer Verlag (GU). And who has guessed?! 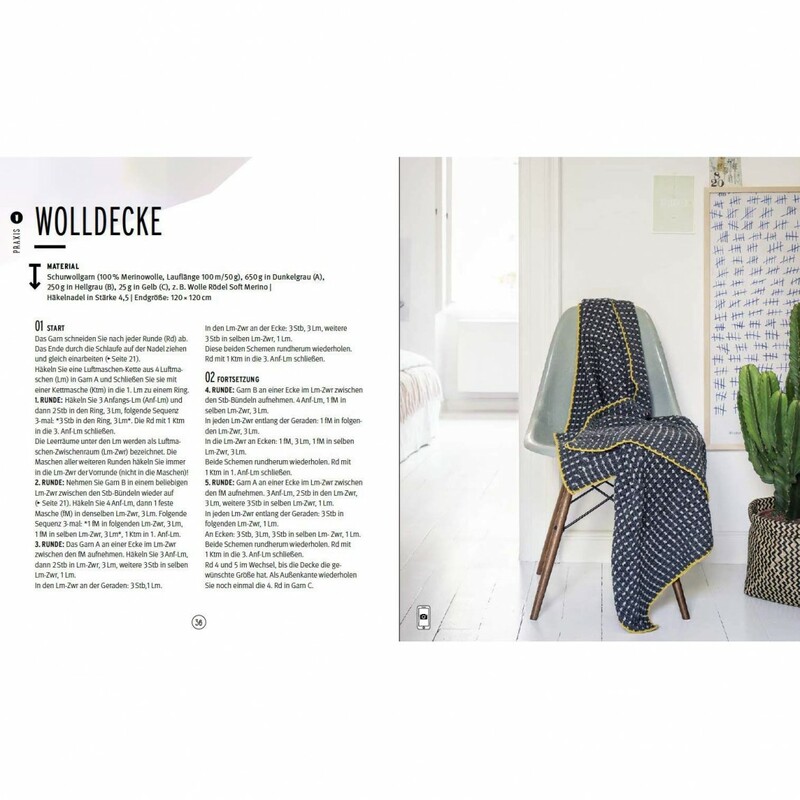 : We are in the second edition now! Hurray! 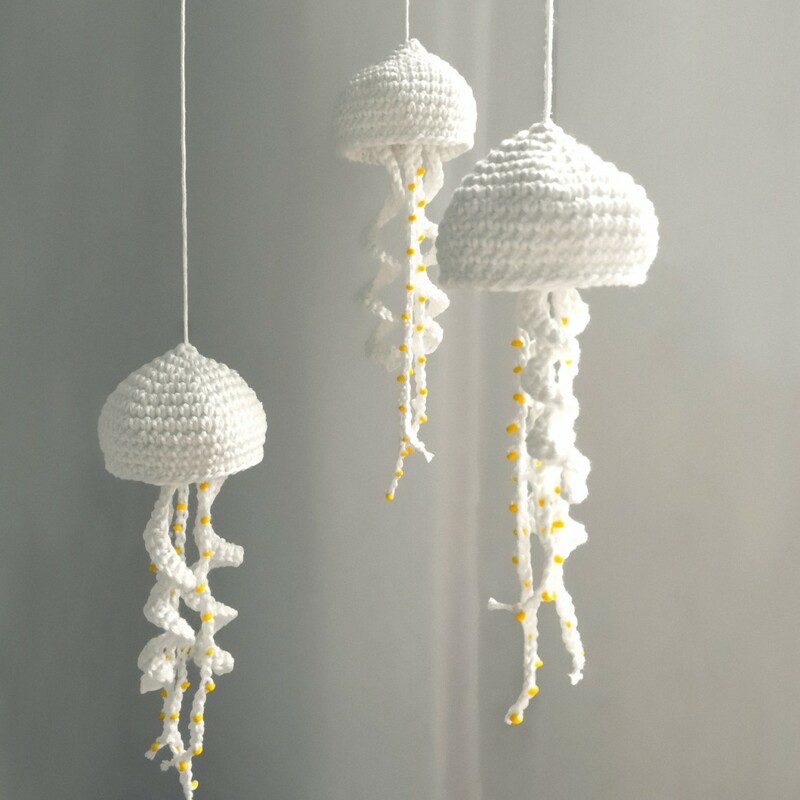 To say THANK YOU SO MUCH for purchasing my little booklet, the publisher and I decided to share one of my favorit patterns for free: the jellyfish mobile. *meinegütewerhättedasgedacht* – jetzt bin ich ganz offizielle Autorin eines Häkelbuches! Mit einer niegelnagelneuen Serie macht der GU Verlag Dich fit für den kommenden Handarbeitsherbst! 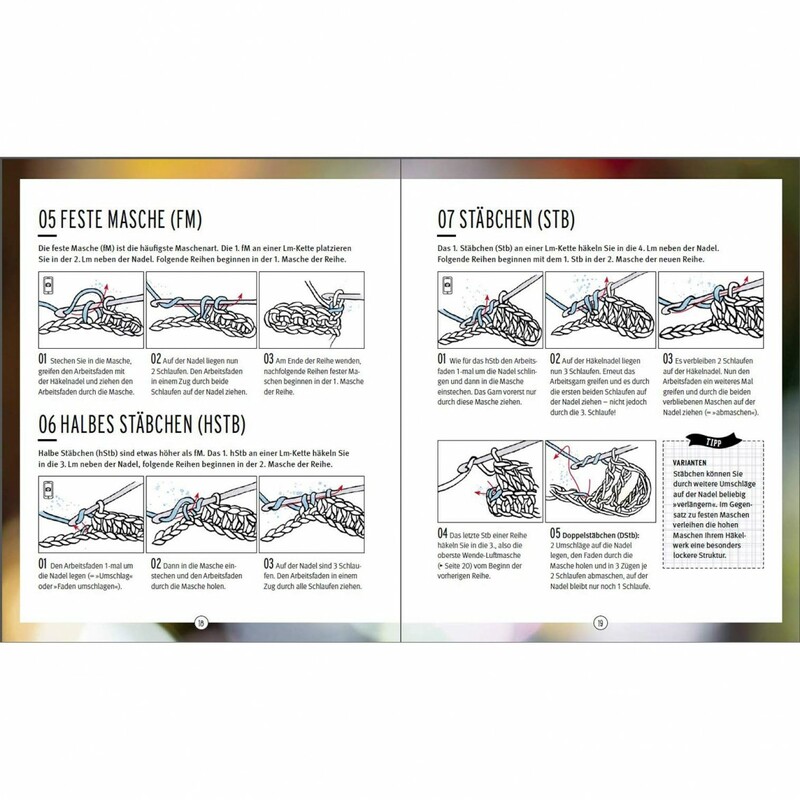 In 4 Büchlein findest Du auf 64 prall gefüllten Seiten je einen Crashkurs zu den Themen STICKEN, NÄHEN, STRICKEN und HÄKELN! Deutschsprachige Häkelsüchtige aufgemerkt! Nach ganz langer bienenfleißiger Häkelei und Schreiberei in den letzten Monaten ist mein allererstes Büchlein für Häkelanfänger fast fertig. 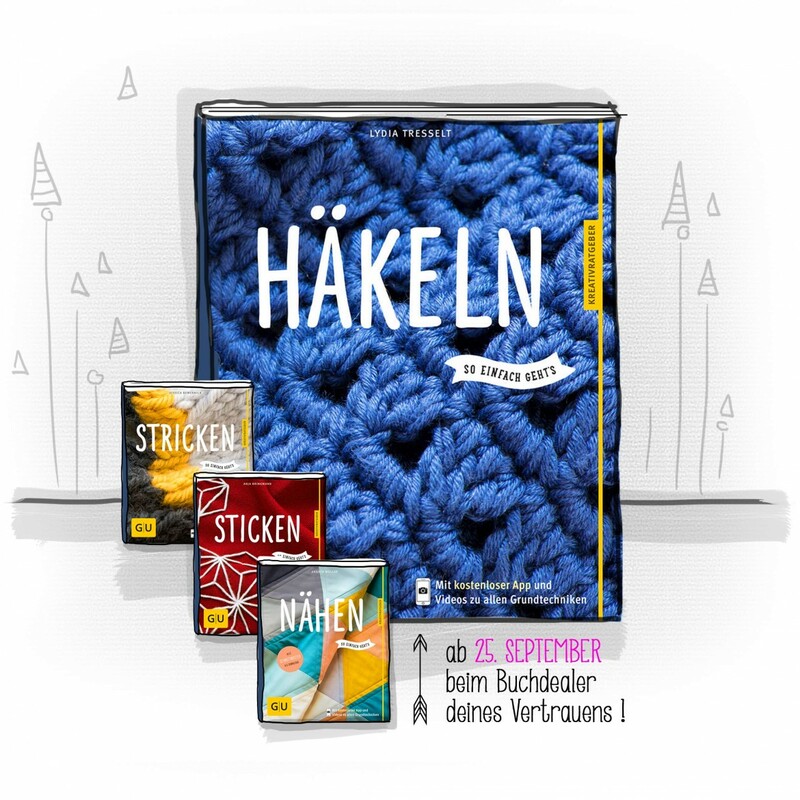 Die Projekte sind auch für blutige Beginner geeignet und zwischen “wohnen” und “leben” angesiedelt (ausnahmsweise diesmal keine lalylala Amigurumi ;) Jetzt muss getestet werden! You know that? 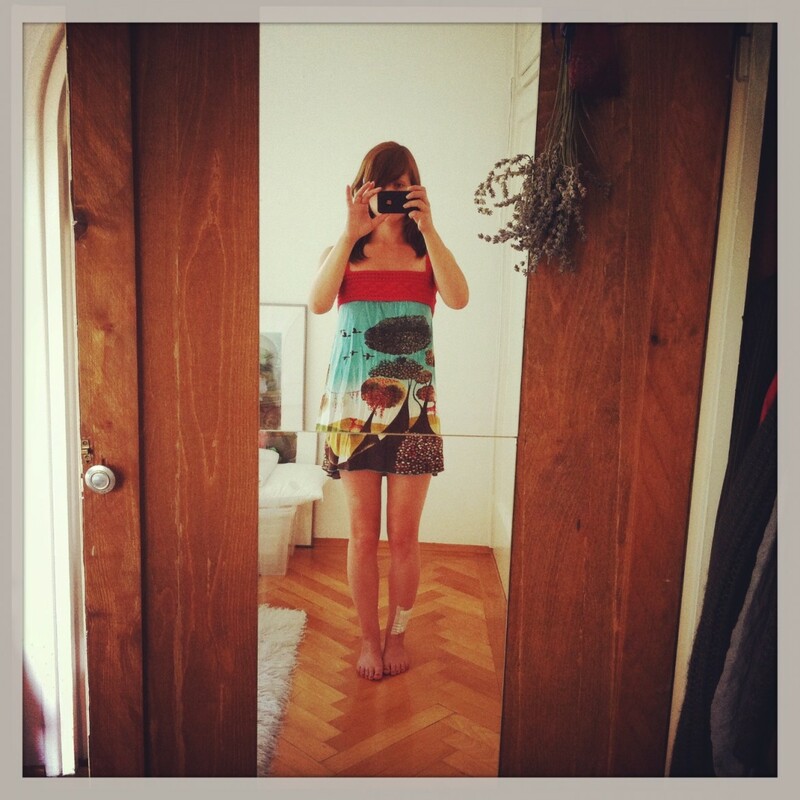 It’s weekend (hurray! 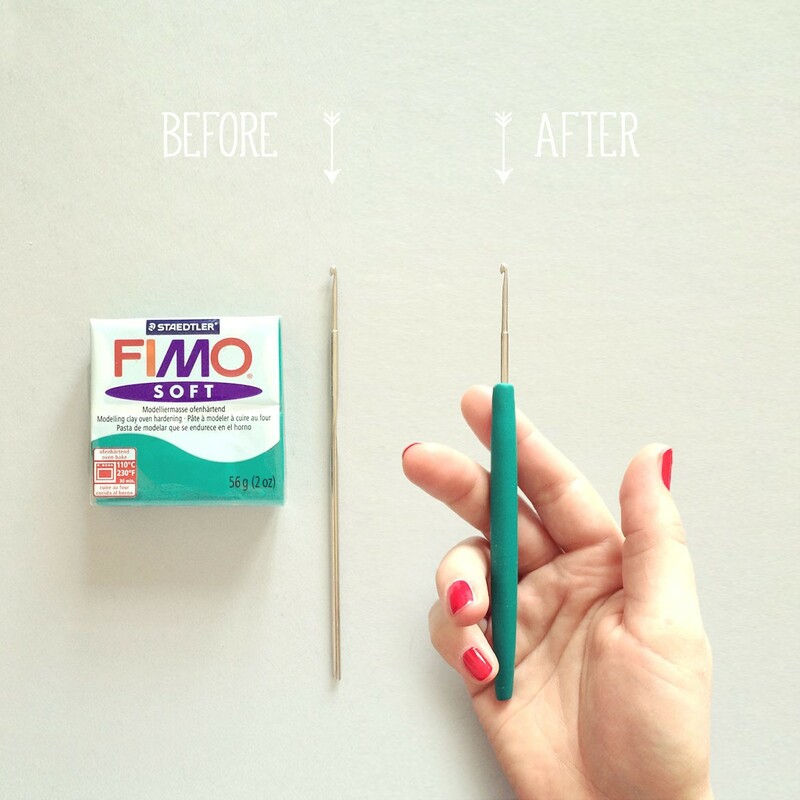 ), you spend your Sunday sittin’ in the sun enjoying a crochet project you’ve almost finished … when suddenly your crochet hook capitulates and breaks. HOLY MOLY! 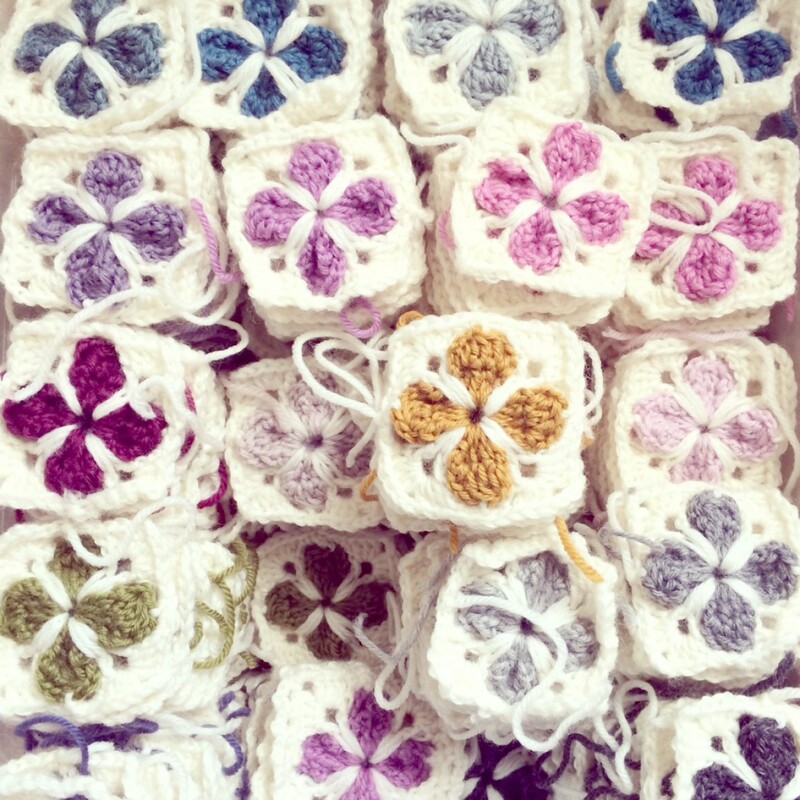 340 granny squares! holy moly! believe it or not, I finished the 340th cathedral square right now and can’t wait to join them to a huuuuuge blanket. You know that? 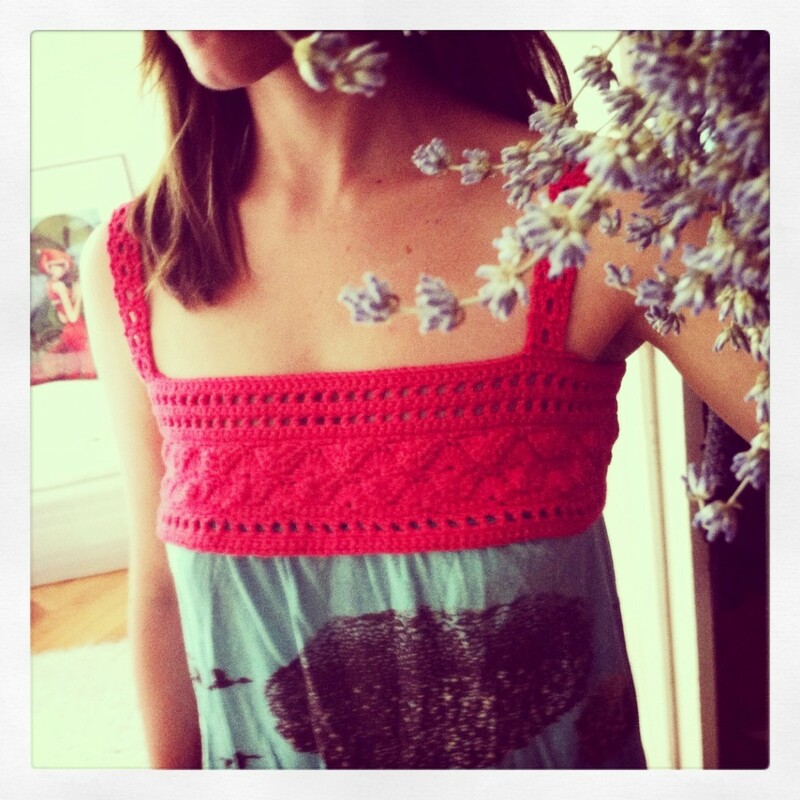 Sometimes you stumble upon a totally forgotten garment in the farthest corner of your wardrobe literally by accident. Besides busy bee-ish working on the upcoming lalylala doll (which will hopefully be ready to be released in the middle of July – yeah!) I started another granny blanket out of some skeins of wool remain from other projects. 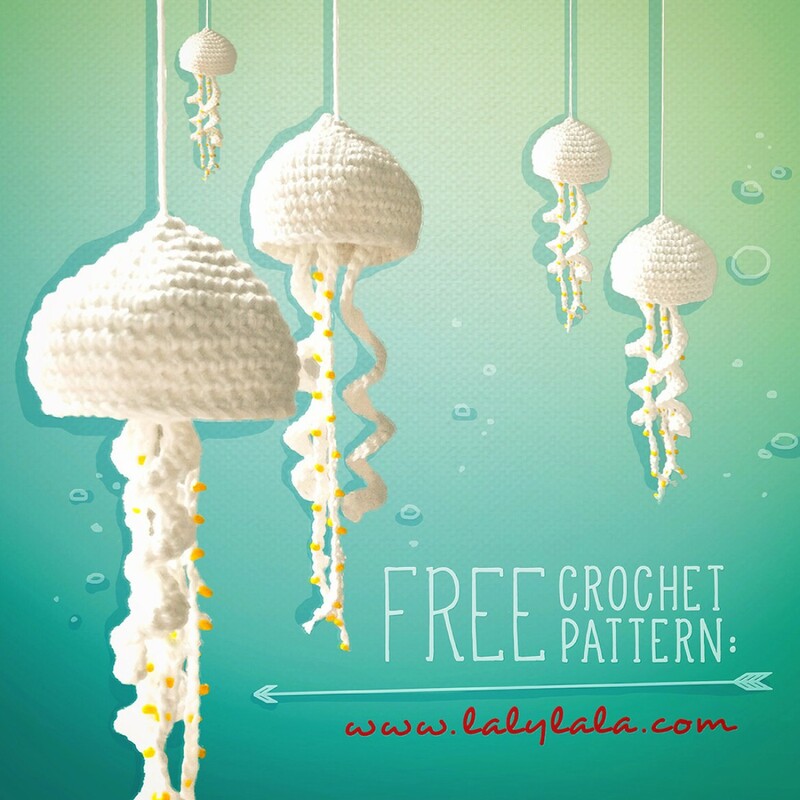 lalylala easter ornaments pattern for free! 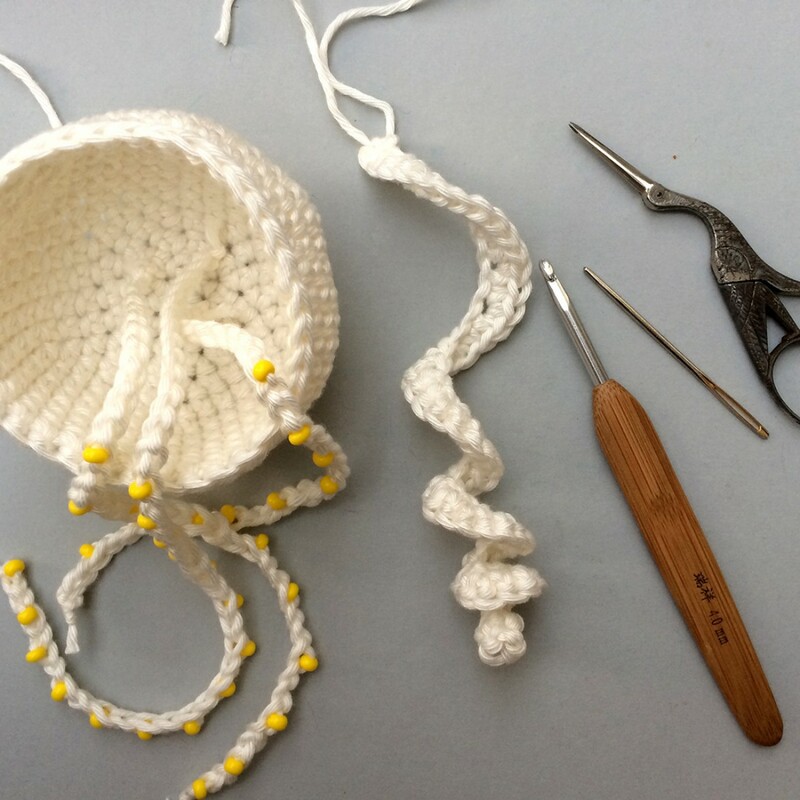 Looking for a cute last-minute non-crochet Easter project? How about that? Last year I made some of these cuties and wrote a tutorial. 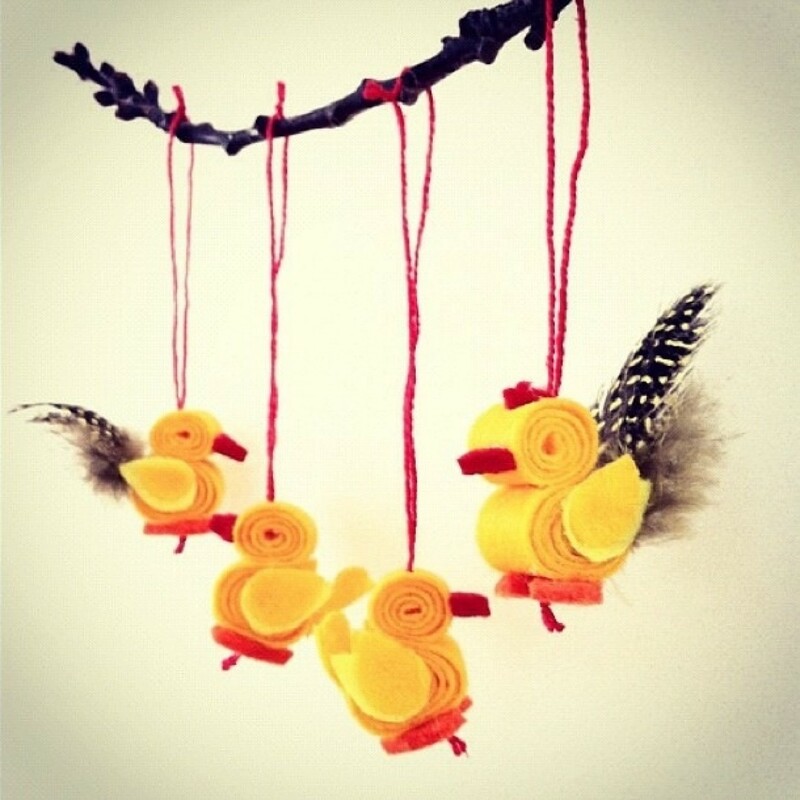 The idea comes from my childhood when my Ma and I used to craft these little chicks. time ago I stumbled upon a cat toy made by Lazymuse. I improvised the shape of the toy – now it’s more a mouse head – and added some blood drops and a spinal column. It looks pretty macabre – but I really like it that way and my moms cat “Schoggi” totally loves his new catnip. 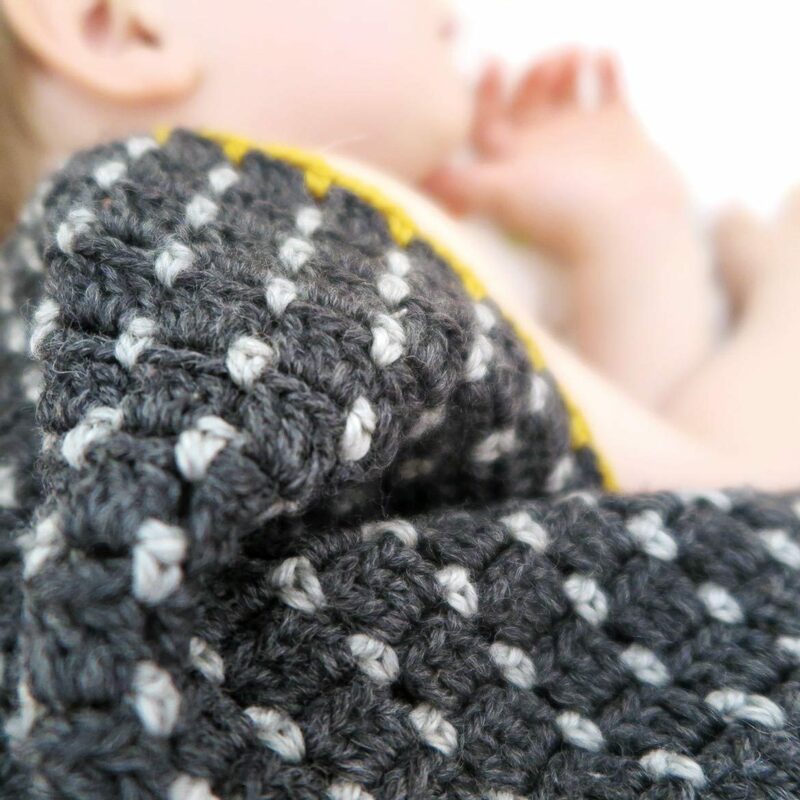 Jippie – I’ve finished my second granny blanket! 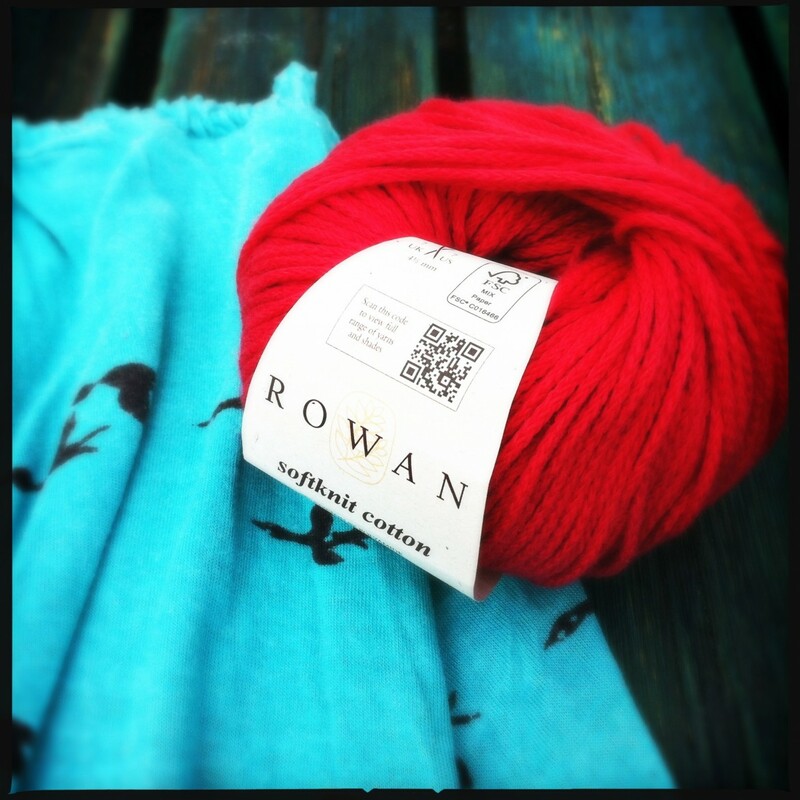 All 255 hexagons are joined to a huge cosy afghan. I’m really really in love with this blanket! So winter can stay for a while. My very first granny square blanket! I can’t believe I made it. It took 31 skeins of sheep wool and some weeks to finish. 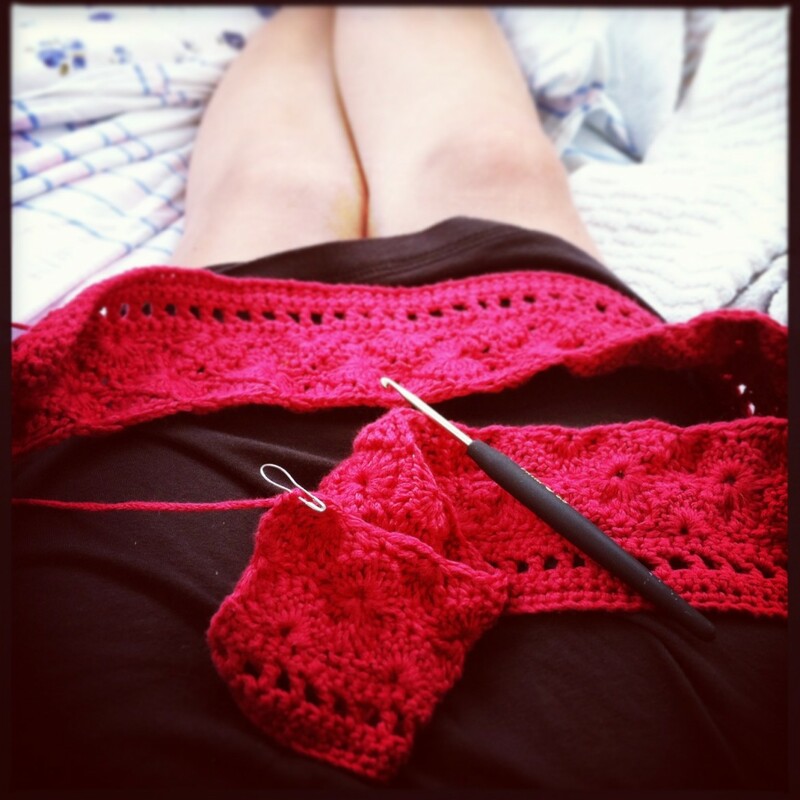 The crochet pattern named “Sunny Spread” by Ellen Gormley is available for free at redheart.com. © 2018 lalylala handmade Lydia Tresselt - all rights reserved!